I’ve been experimenting with making a THICK filament silk, appropriate for knitting. 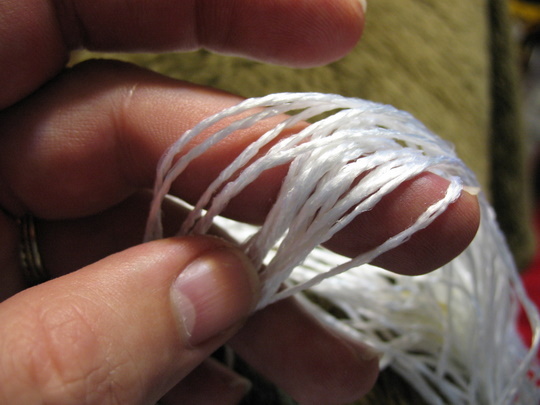 This is a two-ply, using fifteen filaments (at about 40 – 45 denier per filament) per ply – so the finished yarn is something like 750 filaments thick. The main thing that I learned from this experiment, is that I want more twist – the yarn looks decent now, but what I want is something with a distinct bead to it. This has appx 3.5 twists per inch, and I think I need more like six or seven. 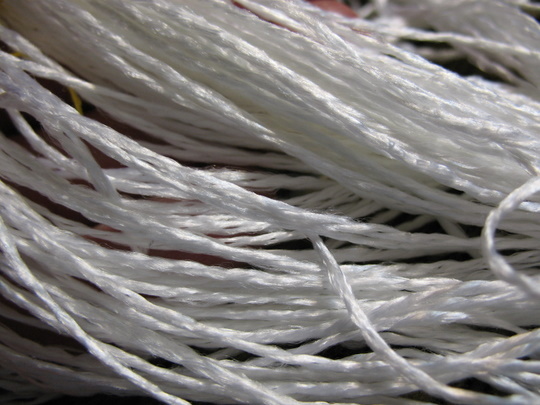 It’s difficult to tell, looking at the raw yarns, how they will look degummed.